Log in here to register online. Thank you for selecting our office. We understand that every patient is different and are very much dedicated to you as an individual. With each patient we address the evidence of oral disease, as well as other possible causes of oral and facial pain. We analyze both your symptoms and the results of appropriate physical exams and discuss the various options open to you. In partnership with your general dentist, and in consultation with you, we will build a treatment plan, all explained in simple language. Your overall well-being includes oral health, so our practice works closely with your general dentist, other dental specialists, and, if necessary, your personal physician to coordinate treatment and make appropriate referrals. Your questions are welcomed; we are always available to you during regular business hours or by cell phone after hours. 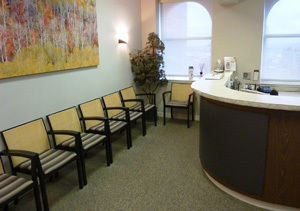 Rest assured we are committed to your care and comfort during all phases of treatment.